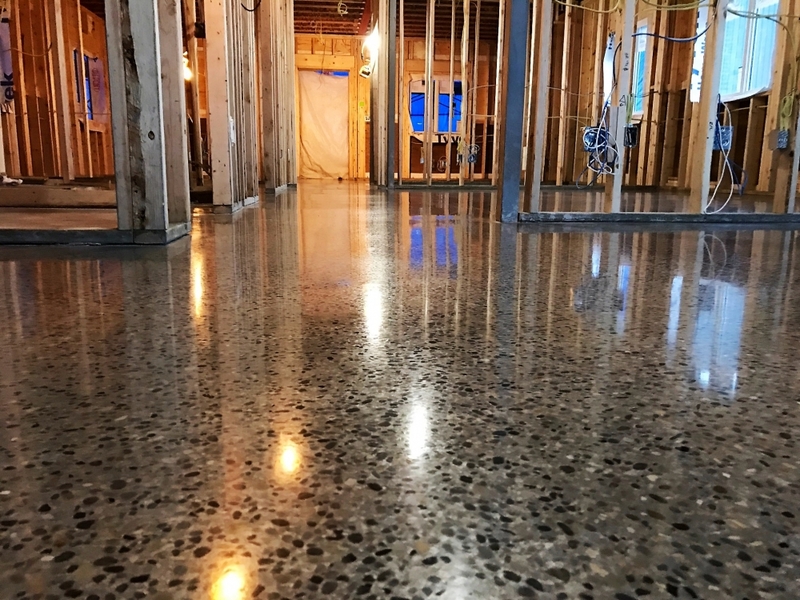 Concrete Resources provided information and locations of different finishes for the clients to visit. 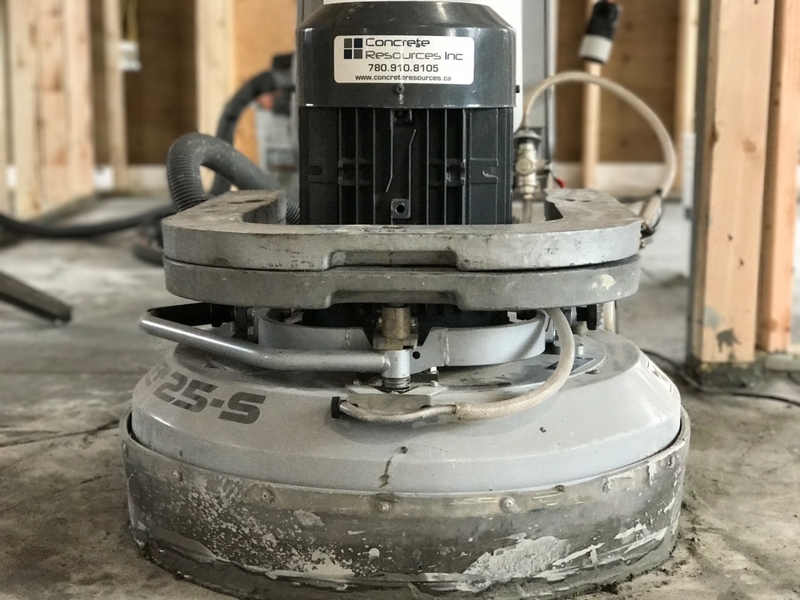 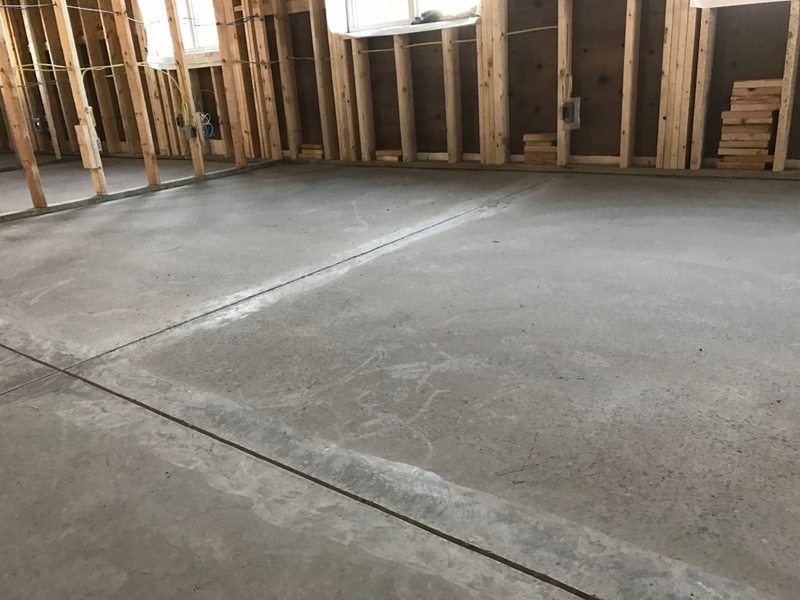 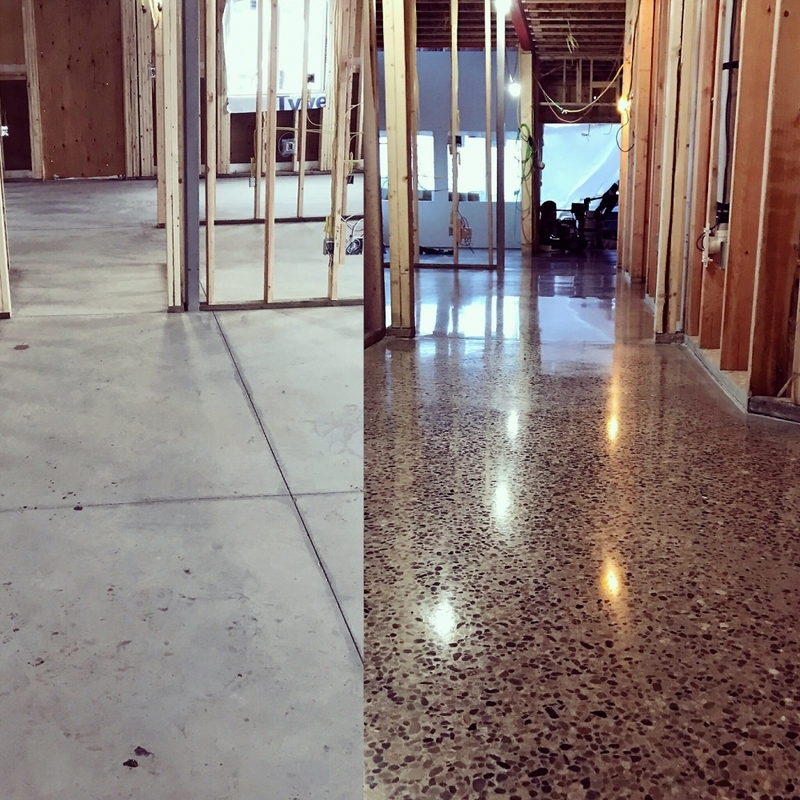 They decided that polished concrete would check all boxes and provide that "WOW" look. 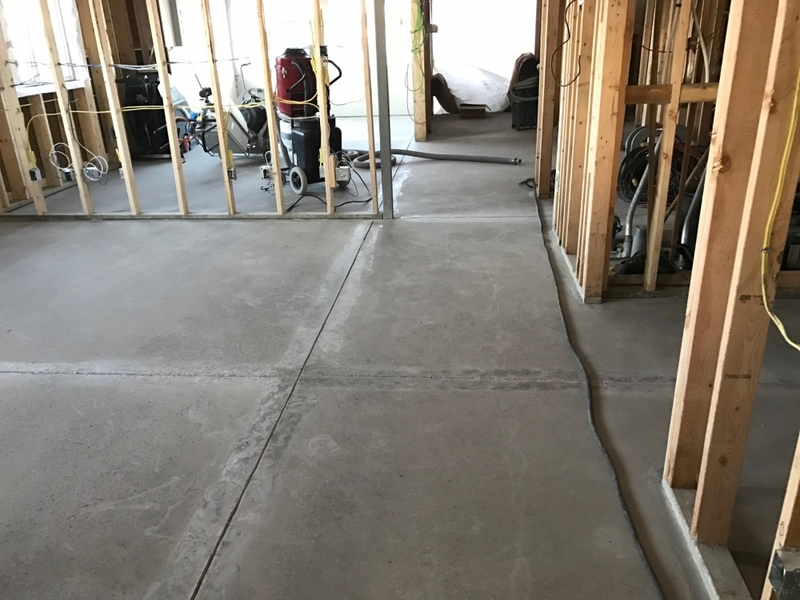 Our team ground the slab to expose 3/8" decorative rock in the slab that was placed and finished by the owners. 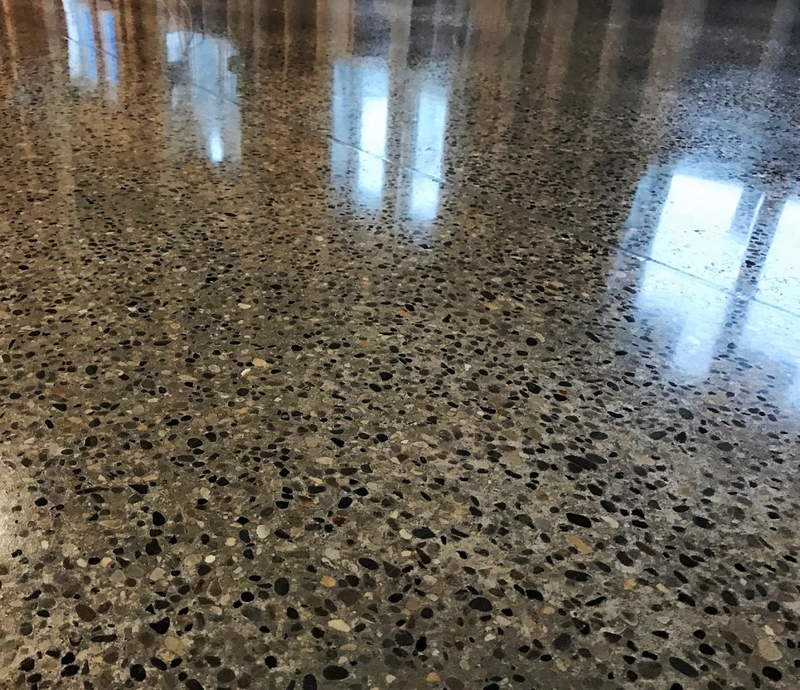 The result was a durable, shiny floor with amazing colours and depth!